Hungry and we deserve a treat. 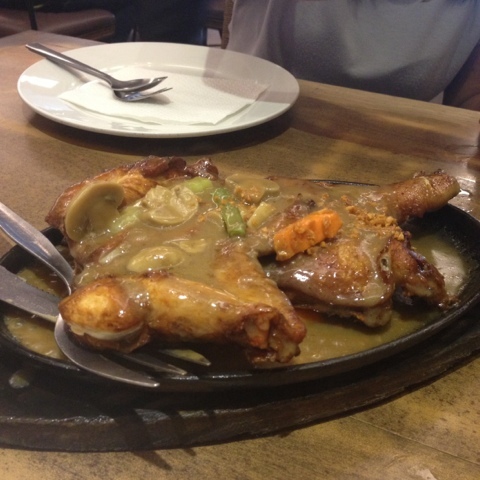 We had lunch at Gerry's Grill at the Peak, Gaisano Mall Davao. 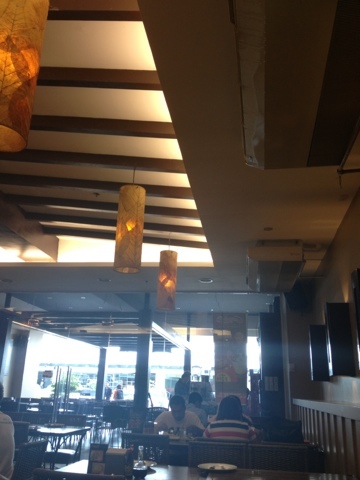 It was our first time to dine in that branch since we always go to Abreeza. So hmm, the location is accessible and attractive from afar. It looks cozier and more comfortable since the tables are arranged symmetrically. They have outside seating and an airconditioned area. We stayed in the airconditioned room since it's too hot outside. Ok. Let's go down to their menu (the mini book of great grilled food). I love Gerry's Grill and their staff's courtesy. They are always attentive to their guests but not today, to be discussed later. 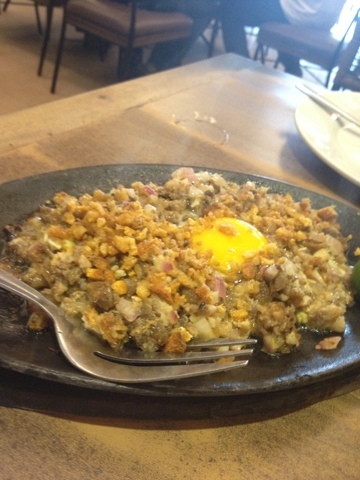 We ordered our usual favorites: Pork Sisig with Egg, Sizzling Garlic Mushroom Chicken and Grilled Tuna Belly. As always, they were great tummy fillers. Burppp. I had their garlic rice for my dose of carbo and green mango shake for my thirsty throat. We love it! Nonetheless, we love the food and for sure, we will go back. Here are the pictures, taken from my phone. Photos are not convincing but I tell you, taste it to experience :) enjoy!